We are the most reliable asphalt shingle roofers in Fredericksburg, Virginia. When it comes to shingles installation, you need a person with vast experience. Without proper knowledge and experience, installing shingles may prove to be tricky. Hiring person who does not know how t install asphalt shingles may lead to damage of material. You should only choose a company that has a proven track record in installing shingles. 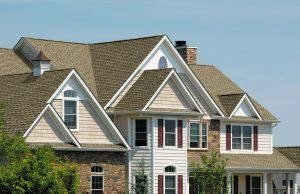 For a long time, we have stood out as the best asphalt shingles roofing installation experts in Fredericksburg, Virginia. We use the best tools in the market to facilitate quick work and provide durable roofs. Besides installation, we also carry out asphalt shingles roof repairs. We can help you take care of leakages on your roof or repair any part of the roof. Most contractors will charge you very highly for shingles roof repairs. On the contrary, we are willing to listen to you and offer affordable charges. We are the experts who are willing to give you the priority and help install the best asphalt shingles roof. We do roof maintenance for all types of roofs. Besides shingles installation, we can help you maintain a healthy roof throughout the year. Our Fredericksburg asphalt roofing is tailored to ensure that you spend less on roof installation and repair. Regular maintenance helps reduce longterm repair charges. We carry out regular roof inspections to help detect problems. Some roofing problems are hidden deep within the roof structure. You need the services of an expert to be able to detect the problem and repair. If you need roof inspection, maintenance or repair services, you can give us a call for a free estimate. Roof installation is a very important aspect of building your house. You need to get the best experts working on your roof so that you can be sure of its durability. At Fredericksburg Roofers, we have the experience and expertise needed in the installation of all types of roofs. We can help you install asphalt shingles roofs or metal roofs. If you are in need of a roofing service provider in Fredericksburg, feel free to call us. We are always ready to answer your calls. We will give you a free quote that is fully inclusive. Unlike most roofing companies, we do not have hidden charges. Just email to us or call us today for more information.